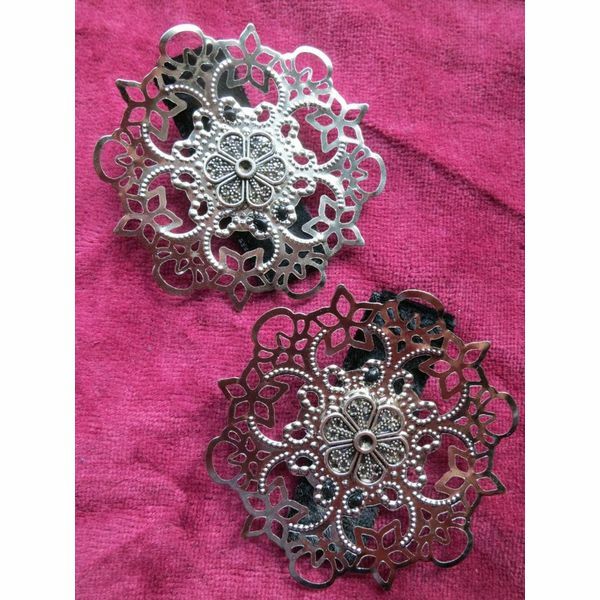 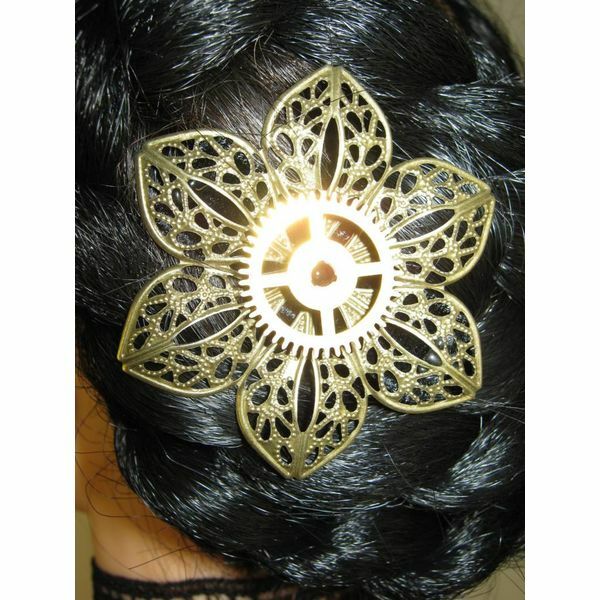 Hand-made steampunk hair clips with vintage clockparts and gears - up to 80 years old and really unique! 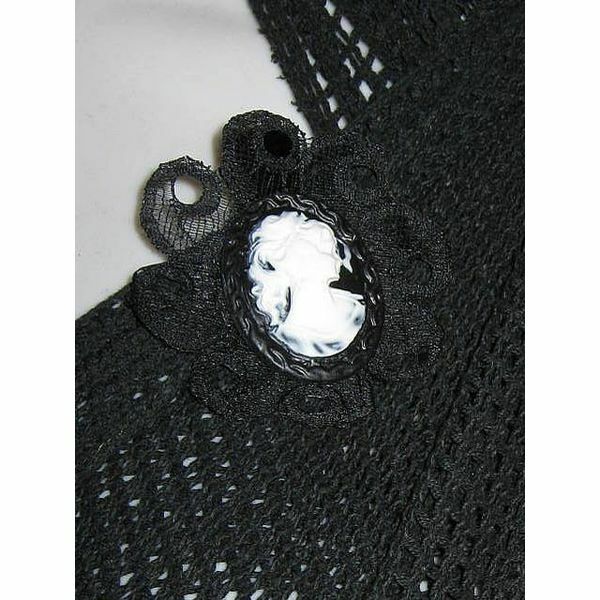 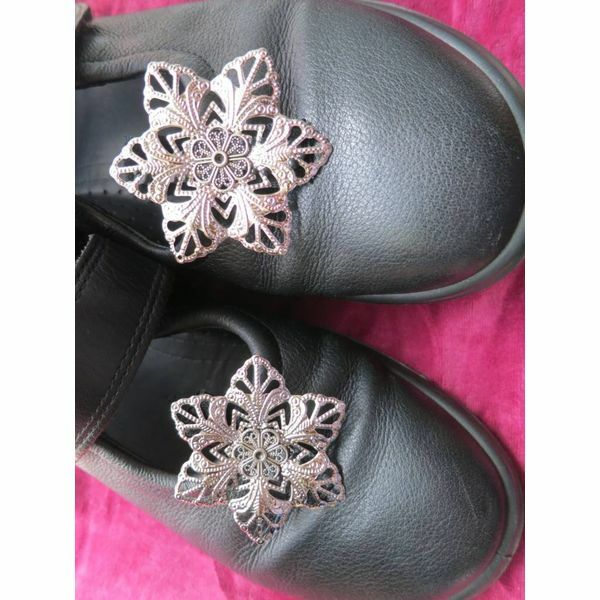 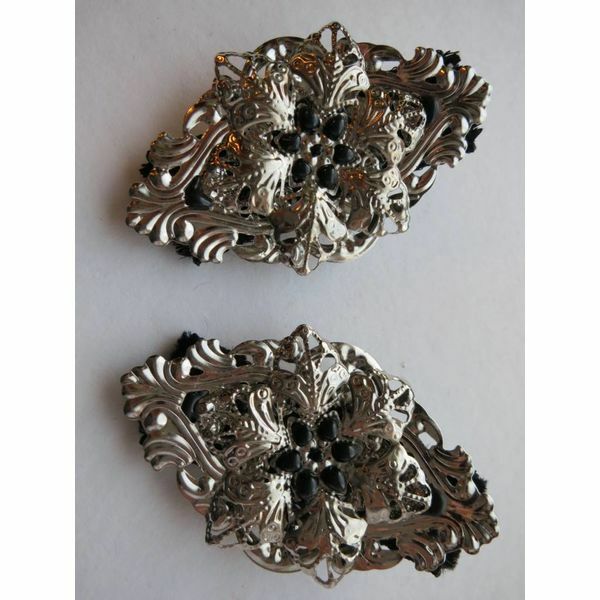 Wear them as brooch, shoe clip, on rings/arm bands, too! 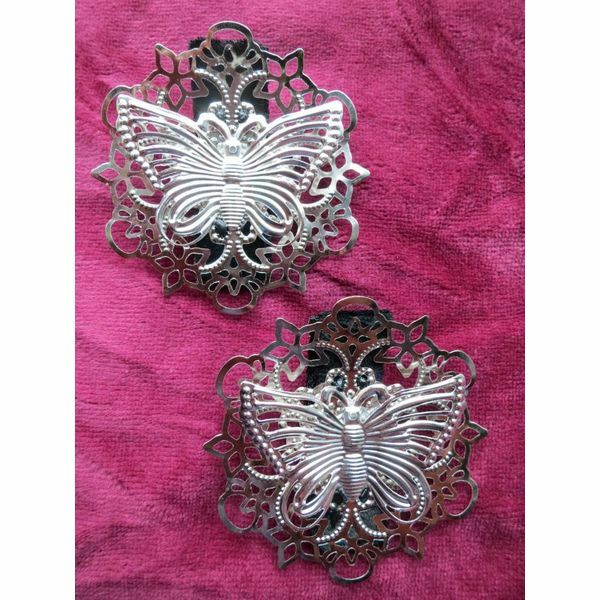 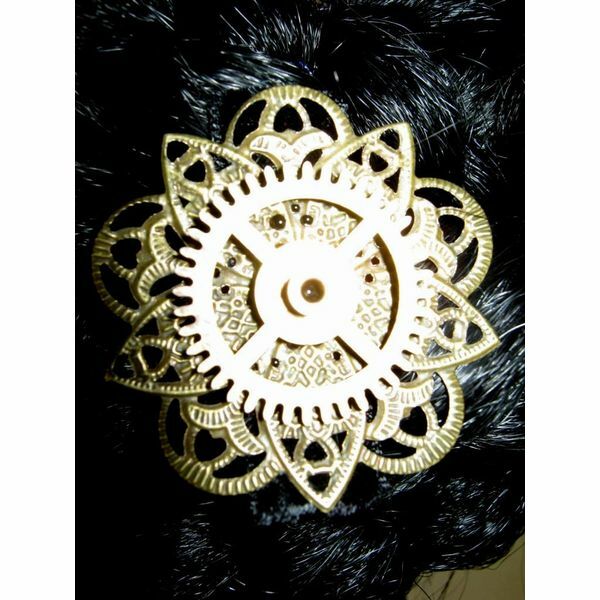 Little steampunk eye catchers for your hair, shoes, top, blouse etc.! 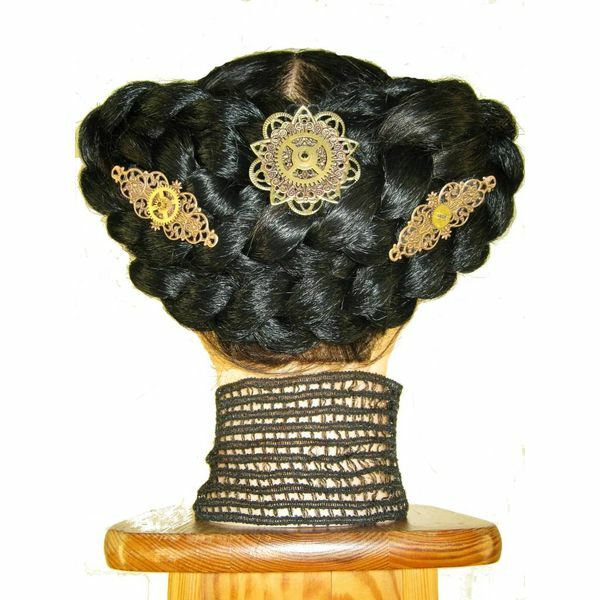 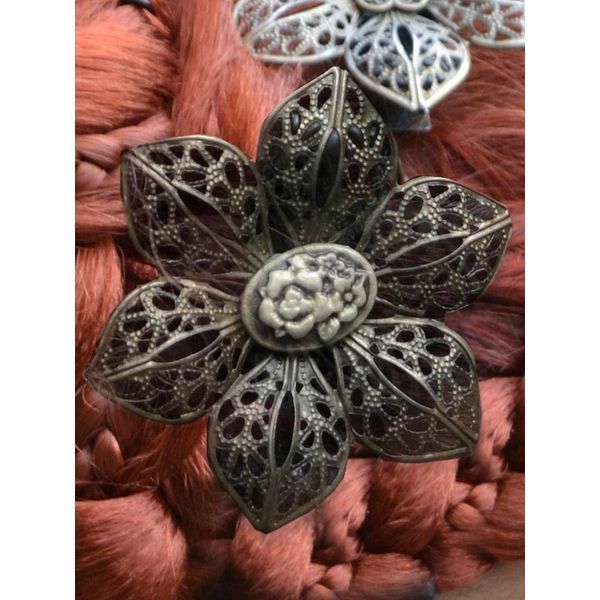 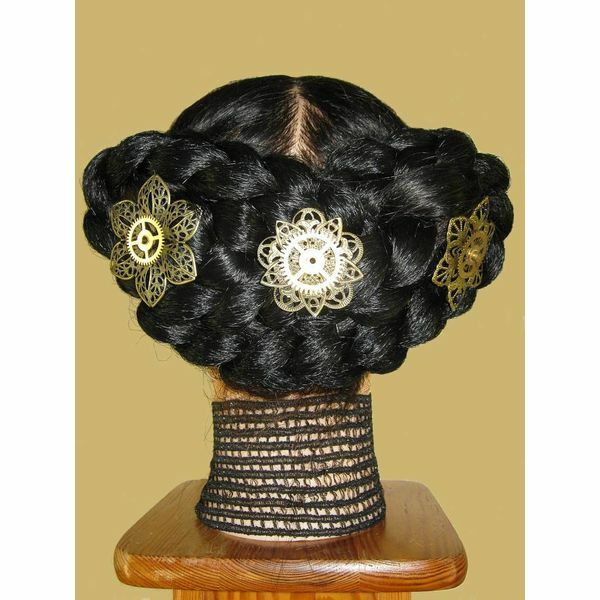 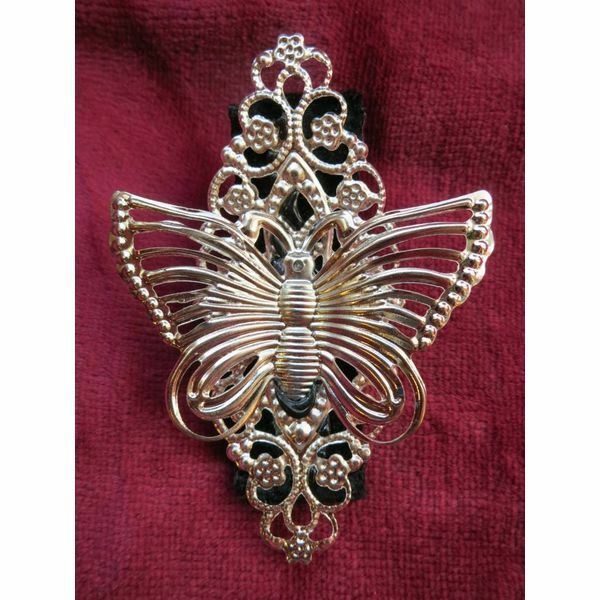 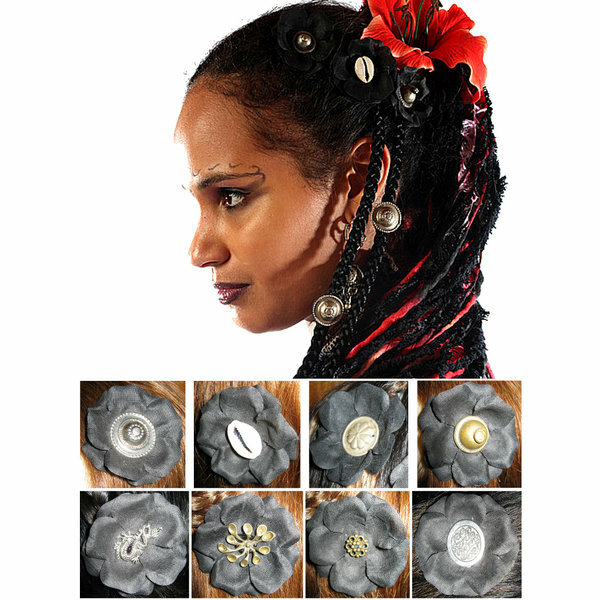 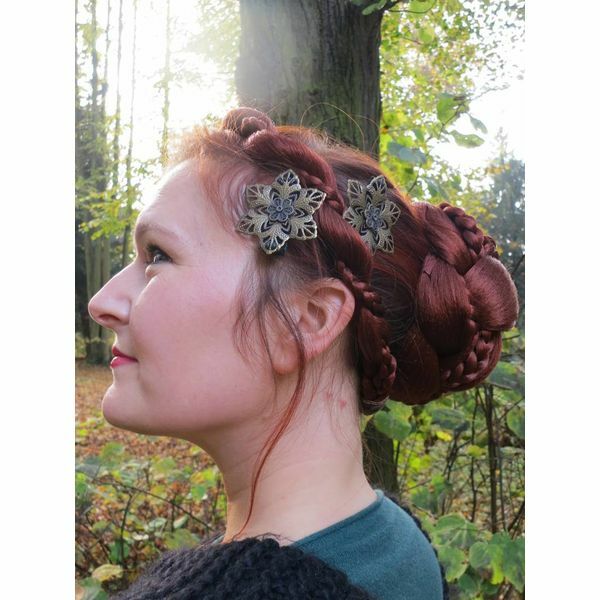 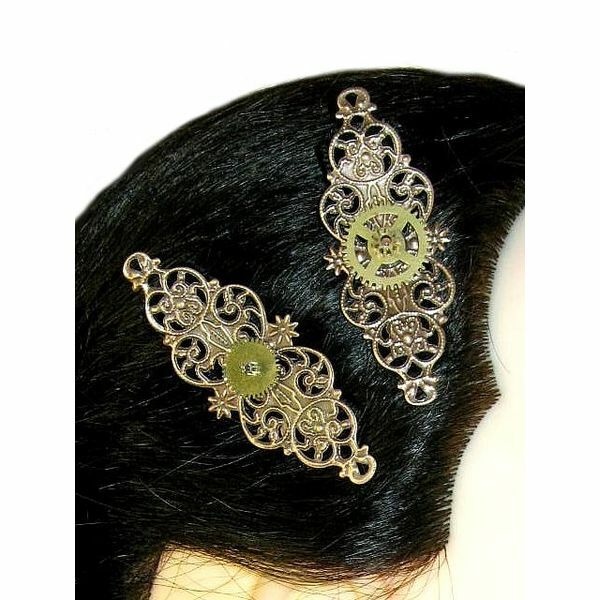 Wear our steampunk hair jewelry as hair jewelry, shoe clips as a brooch and even on flat rings, arm bands and large earrings! 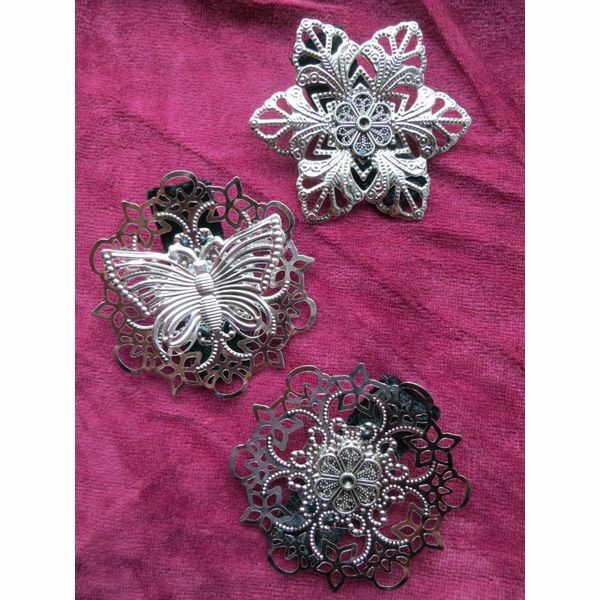 Our professional multi-purpose clip attachment ensures strong hold! 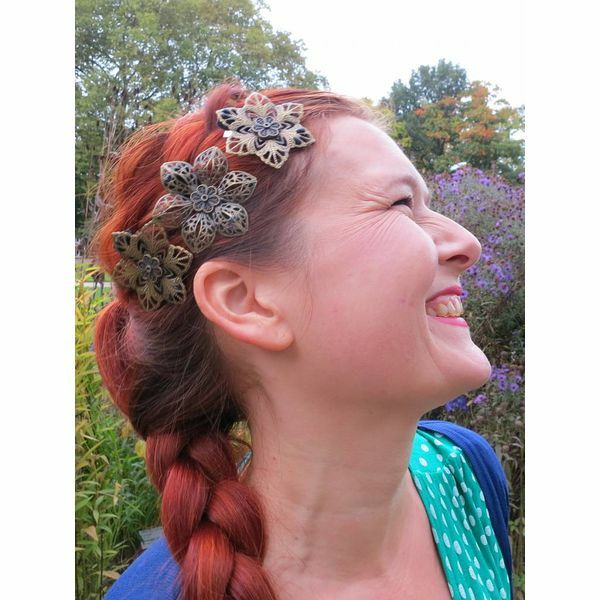 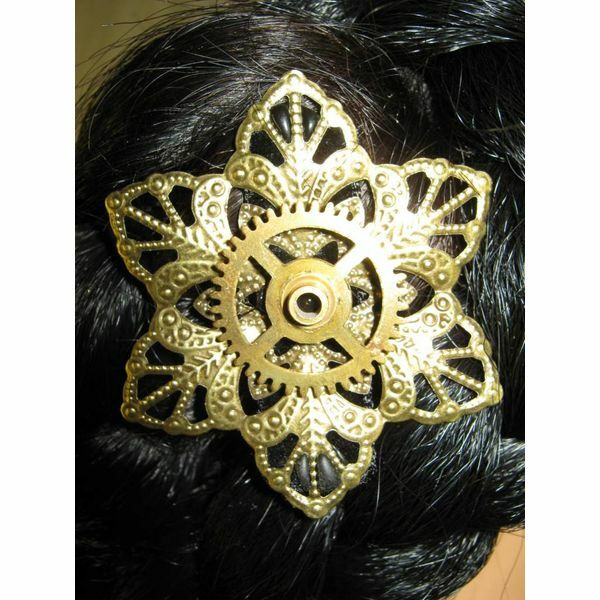 Steampunk hair clips by Magic Tribal Hair are really unique, because we exclusively use vintage gears, watch movements and parts! 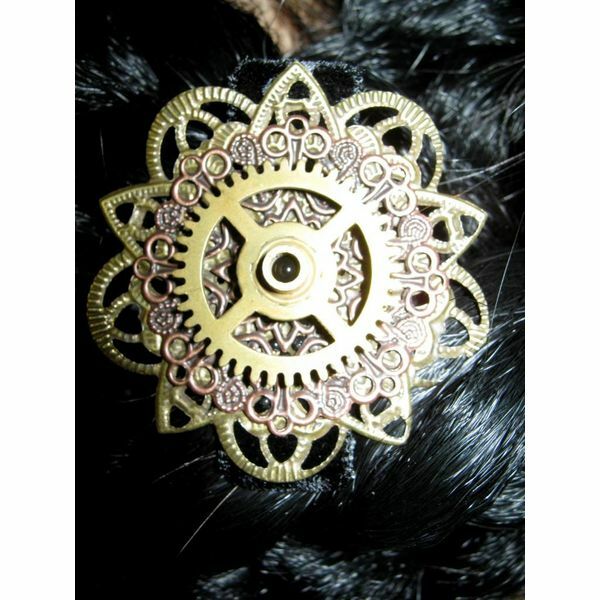 All these parts come from broken clocks and watches and are between 25 and 80 years old - for a unique steampunk feeling!